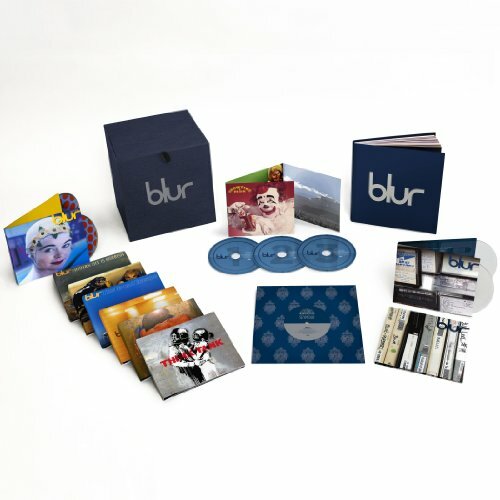 Limited 21 disc (18 CDs + three DVDs) box set from the Britpop legends, released to coincide with the 21st anniversary of the release of their 1991 debut album Leisure. All seven studio albums are collected with over 5« hours of unreleased material including 65 previously unreleased tracks and more than twice as many rarities, three DVDs, a collector's edition book featuring rare and unseen photos and a new and exclusive interview with the band, and a special limited edition 7-inch vinyl featuring a track recorded under the band's original name, Seymour. Each of the albums are presented as deluxe two CD editions. Four additional CDs contain a plethora of unreleased tracks. The box also includes a digital download code for the albums and all bonus material. If you have any questions about this product by Virgin Records, contact us by completing and submitting the form below. If you are looking for a specif part number, please include it with your message.